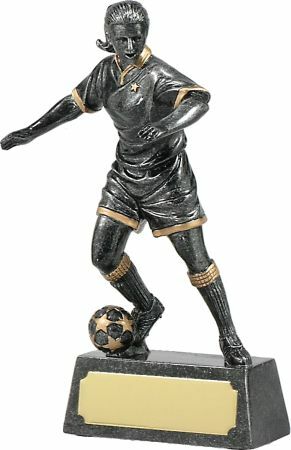 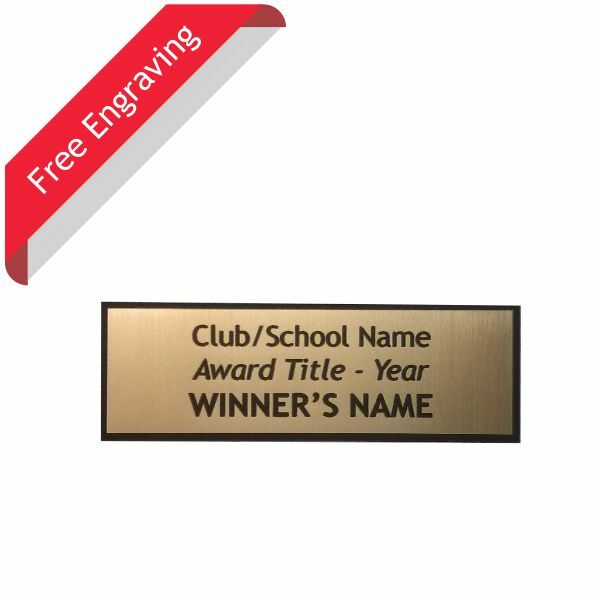 Showing a player getting ready to score the game winning goal, this female soccer trophy is just waiting to be awarded to all your players at the end of the season. The gold accents especially standout against the dark silver frame making this trophy eye catching for all who see it. 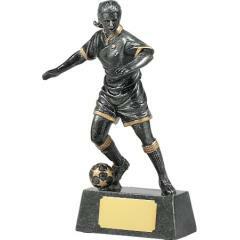 Consider awarding it to the MVP, Most Consistent, or Most Improved players on your squad.